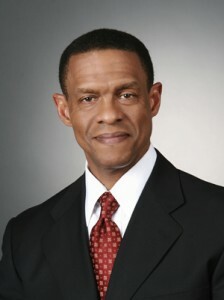 Erroll G. Southers is an internationally recognized counterterrorism expert, a former FBI special agent, a professor at the University of Southern California and author of the upcoming Elsevier book Homegrown Violent Extremism. He's often called upon by the media to comment on terrorist incidents, and five years ago he testified before the Congressional Committee on Homeland Security at the request of Congressman Bennie Thompson of Mississippi. So when Rep. Thompson read Southers' recent article in Elsevier Connect, he invited him to testify at the committee's first hearing on the Boston bombings. On Thursday, Southers joined Edward Davis III, Commissioner of the Boston Police Department; Kurt Schwartz, Undersecretary of the Executive Office of Public Safety and Security for Massachusetts; and former Connecticut Senator Joseph Lieberman. Southers said he had four points he wanted to emphasize: that counterterrorism is about reducing risk, not eliminating the threat of an attack; that community engagement is key to reducing that risk; that future incidents of violent extremism will be largely "homegrown" and that the process of radicalization is complex. "I wanted them to understand that this is something that is going to happen again," Southers said, in an interview afterwards for Elsevier Connect. "I really wanted to hammer home the point of risk. Our efforts focus on reducing risk, in my world; we can't buy our way down to 100 percent security. That's a cultural flaw that we have here in the United States; we think that if we have sufficient funding, we can achieve any outcome we desire. Security is not one of them. "Other countries understand that it's all about risk reduction; you can contain a threat, but you can never eliminate it." 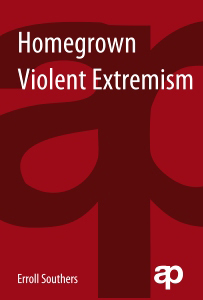 To this end, Southers emphasized the importance of making sure community members are engaged, alert and willing to report suspicious activities — and that no individuals or communities are marginalized by profiling, making them unwilling to come forth with knowledge of potentially violent extremist activity. While acknowledging that the majority of terrorists come from a background of Islamic extremism, he said it was simplistic and counterproductive to make assumptions about what the enemy is like, particularly since recent reports indicate the trend suggests noteworthy increases in "non-Jihadist" incidents of violent extremism. "What I want to see us do is avoid simplistic efforts to profile homegrown violent extremism," he said. "I understand that arguably 67 percent of the indicted individuals since 9-11 have this extremist Islamic viewpoint, but we need to be open to the fact that whether it's extreme Islam or something else, these are people who may grow up and live here. Ignoring the remaining 33 percent is not something anyone should be comfortable with. "This incident is illustrative of a very complex process of radicalization," he said. "Tamerlan Tsarnaev, with all due respect, didn't go to Chechnya for six months and come back to bomb people at the marathon. There's a long progression, I would imagine, of things that happened to him … that added to his grievances and built him into what he became at the end of the line. It's a very complex process, as individual as the people who engage in it, and we can't come up with a checklist to say if a person has enough checks, that person might do something; it's not that simple." In his testimony, he gave examples of terrorists escaping to other countries when their own communities knew of their radical tendencies but chose not to report them. Those communities were exclusively Islamic and illustrate the risk of losing their support when statements are uttered that "paint them with a broad brush," he explained. Southers' point that extremists cannot be effectively profiled was challenged by Rep.Scott Perry, a Republican Congressman from Pennsylvania and a decorated Colonel in the US Army. Perry cited a list of radical Islamic extremists who have been indicted for their terrorist activities in the United States, including the Virginia Jihad Network, Assam Hammod, the Lakawana 6, Nadal Hassan, Khalid Sheikh Mohammed and Mohammed Atta. "I think those names are probably familiar to you," Perry said. "What would you say they have in common?" "I would say obviously they have in common their religion and, if you will, an extremist Muslim ideology," Southers replied. "Ok, and thank you," Perry said. "And that's my concern. In the 5th century BC, Sun Tzu said, 'Know thy enemy and know thyself,' and as a military officer, of course it served me well," Perry stated, referring to the ancient Chinese general who wrote the military treatise The Art of War. "Where do you suppose these ideas come from, professor?" 207 individuals have been indicted since 9-11 in the United States that have, as you mentioned, an Al Qaeda ideology — 5 percent of those people for roles in violent incidents. There have been 139 right-wing militants indicted since 9-11 where just under 50 percent of them were engaged in violent attacks. So my point in my testimony was that although the facts are correct in regard to the extremist ideology they share, that we understand that radicalization is not monopolized by any ideology or religion or race. Southers speaks fluently about these issues, facts at his fingertips, having done numerous interviews for the media. In fact, he did this interview in a car en route to a television studio. He apologized at one point for "going off on a tangent," then added, "This is something I'm very passionate about." His passion and knowledge, however, did not prevent him from getting nervous when testifying before the US Congress, where hearings are televised and recorded by C-SPAN, and words are scrutinized by politicians and journalists before going on the permanent record, where they will be accessible for generations to come. "You're nervous. I mean let's face it; you're testifying before Congress," he said. "And you have been invited for a very, very important and sensitive issue … Lives were lost, and more lives could be lost." So how does he deal with nerves? "Well, I'm going to give you a quote from a very, very dear friend of more than 30 years — Arnold Schwarzenegger," he said, referring to the former California governor. Southers served in Gov. Schwarzenegger's Office of Homeland Security, but he first knew him in the early 1980s when the two were competitive bodybuilders and Schwarzenegger was in the heyday of his acting career. "And so even though I knew the subject matter and I'm considered an expert," he said, "if you were to have shook my hand on the morning of the hearing, it would have felt like you were shaking an ice cube." Alison Bert (@AlisonBert) is Editor-in-Chief of Elsevier Connect. She joined Elsevier five years ago from the world of journalism, where she was a business reporter and blogger forThe Journal News, a Gannett daily newspaper in New York. In the previous century, she was a classical guitarist on the music faculty of Syracuse University. She holds a doctorate in music from the University of Arizona, was a Fulbright scholarin Spain and performed in the 1986 international master class of Andrés Segovia. Excellent, excellent interview and article! Dr. Bush, that means a lot to me, especially coming from an author of your stature. It was truly a privilege to interview Erroll Southers. He's extremely knowledgeable and accomplished and still manages to stay humble. He's obviously passionate about his work and educating people about the issues.